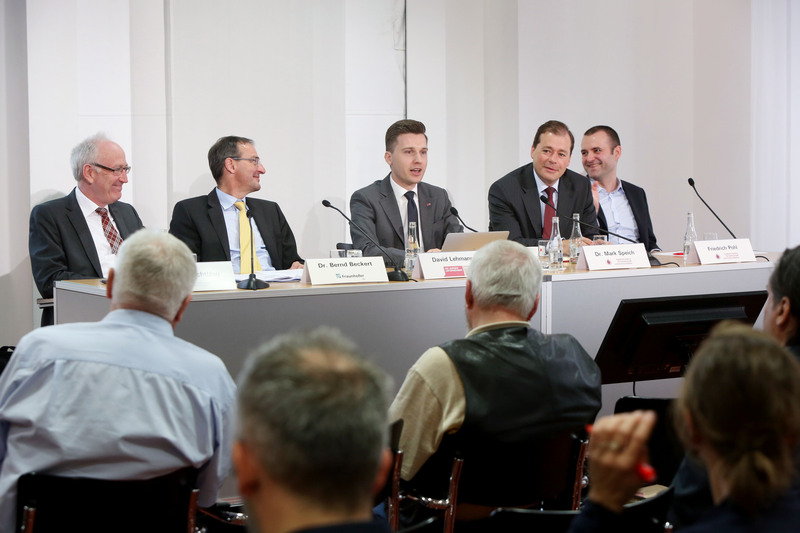 Germany's digital future depends on fibre-optic networks. This according to a current IW Consult study presented at the Digitising Europe Summit. No one was to think that they condoned animal abuse: coach horses had to be unharnessed at least every five hours, and there should be a speed limit of ten km/h. Thus it was way back when, more precisely in 1916 – politicians argued hotly over appropriate stables and adequate feed – but they were missing something vital: Out there, in the real world, cars had long replaced carriages, because motor vehicles were faster. Therefore, a hundred years ago politicians should have debated a nationwide network of petrol stations. Absurd? Let’s zoom this thought experiment into the present day. Four years ago, the federal government decided to provide Germany with a nationwide network that would be able to transport at least 50 megabits of data per second. In their Bundestag decision politicians promised “fast Internet for everyone” by 2018, and the clock is ticking. It is already foreseeable today that in two years, the 50 megabits per second target will be met with a tired yawn. The modern and soon deployable 5G technology is much faster – and companies are demanding it throughout the country. They need data rates in the gigabit range if Industry 4.0 is to seriously start with its networked machines and devices. 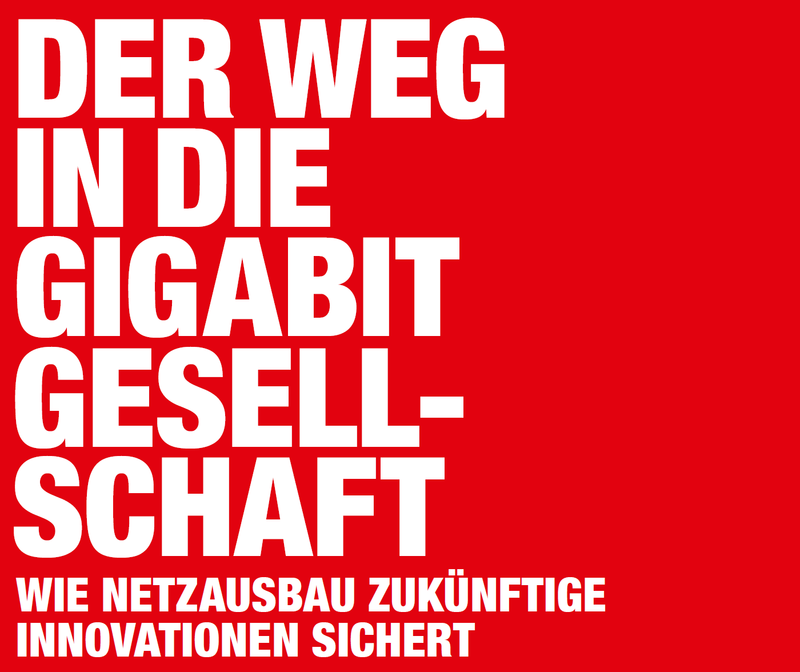 Still, data in Germany is dawdling on the Internet: 12.9 megabits per second was the average at the end of 2014. With the help of “vectoring” the data rate on copper lines manages to surpass the 50-megabit hurdle, but not much more. 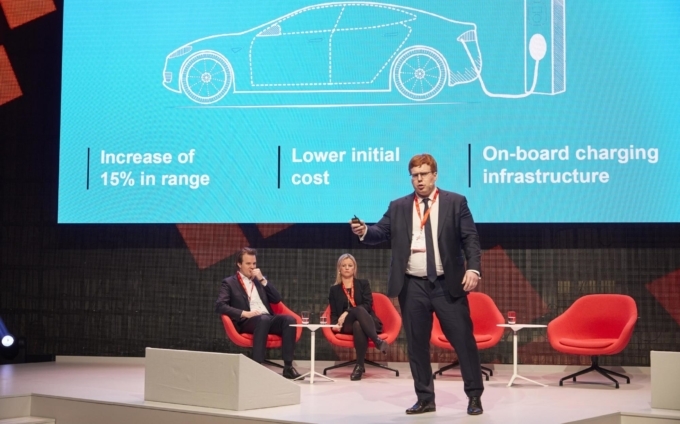 “This could be a significant competitive disadvantage for the local economy in the near future,” according to the study The Way to the Gigabit Society, conducted by researchers of the IW Consult on behalf of Vodafone Institute. At the end of the year, only 59 per cent of companies possessed broadband connections of at least 50 megabits per second, and in rural areas only 29 per cent. “Many company clusters outside cities urgently need fast Internet”, warned IW Cologne director Michael Huether at the Digitising Europe Summit, where he presented the study. Those who want to send gigabits in seconds need to be free of copper and move on to glass fibre. The South Koreans understand this, and have already laid 70 per cent of their connections in fibre-optic lines. Sweden is at 46 per cent, Norway at 31 per cent, and Portugal at 24 per cent. And Germany? 1.3 per cent. Investments in fibre connectors are worthwhile: an increase of 1 per cent corresponds to a rise in gross domestic product (GDP) of around 0.03 per cent according to the IW researchers’ calculations. 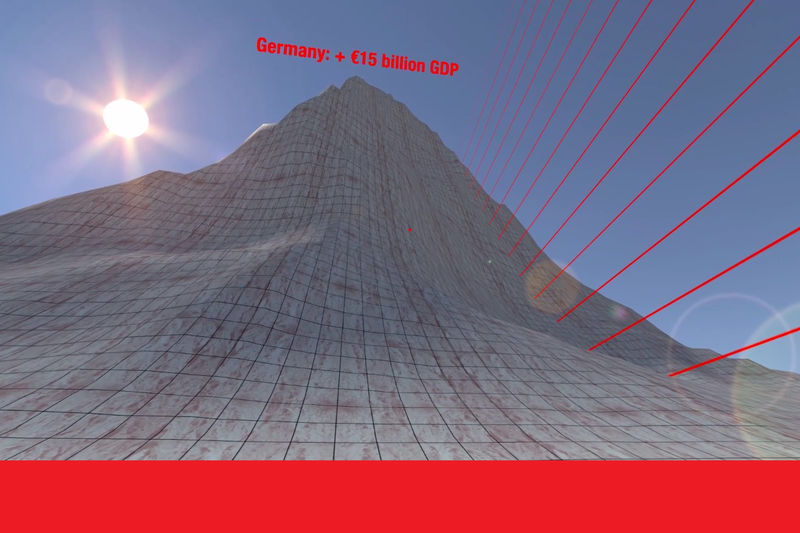 For Germany, this would result in a GDP increase of about 900 million euros. More powerful broadband networks also ensure a growing economy: on average in the countries observed by the IW, an increase of 1 per cent in the average transmission rate is associated with an increase in GDP of 0.07 per cent. For Germany, this corresponds to a 2 billion euros increase in GDP. “Precisely because Germany is still at the beginning of its fibre-optic expansion, significant advantages are to be expected as a result of such investments”, Huether said. 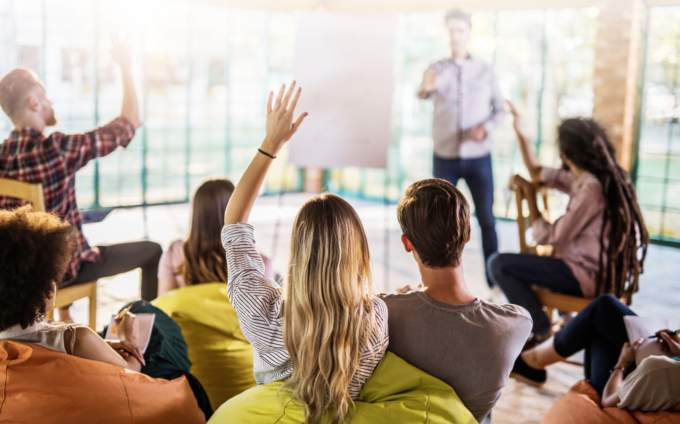 The study identifies smart applications as dynamically growing key technologies in the fields of mobility, healthcare, the energy sector, and industry, and not least for managers and consumers. 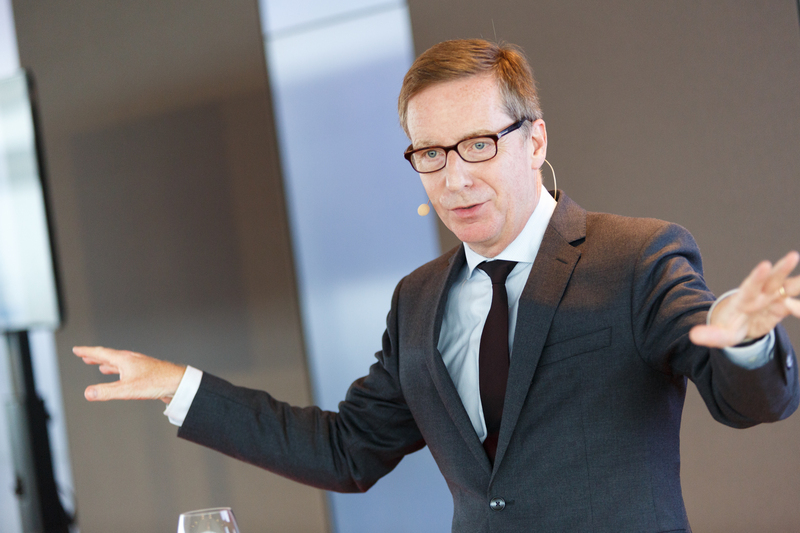 The network infrastructure is a “pacemaker” for the gigabit society. Its digital economy is a network economy, characterised by exchange and interaction across the entire value chain. For this it is necessary to involve companies as well as households in the exchange. Only then can the gigabit society develop. The IW calls the Federal Government 2018 expansion target of 50 megabits nationwide “at most an interim goal: to pause there would be tantamount to a step backwards in the international digital location competition”. Only a network in the gigabit range would be able to respond to increasing demand on the application side. Apparently the message has been received, at least by the Federal Ministry of Economic Affairs. Released in March, its position paper “Digital Strategy 2025” calls for building a Gigabit Fibre-Optic Network by 2025. “Economic performance in Germany could rise by an additional 82 billion euros by 2020, if digital technologies and German companies’ abilities to use them are aggressively pursued”, it states. “The Internet of Things is slated to provide economic growth of up to US$ 11 trillion, with the largest share in the area of industrial production.” However, the fibre infrastructure would entail costs of up to 100 billion euros. 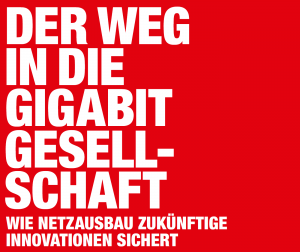 The position paper of the Ministry of Economic Affairs therefore calls for a “gigabit network roundtable” with federal, state, and municipal governments, as well as companies and associations, “in order to make gigabit networks possible in Germany”. This is, at best, a declaration of intent and has less weight than an already made promise. 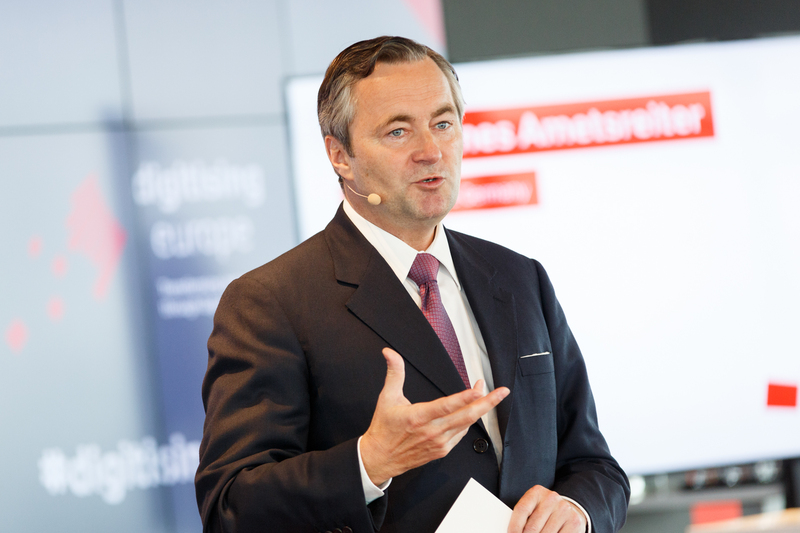 “50 megabits is not enough for the future,” said Hannes Ametsreiter, CEO of Vodafone Germany, at the Digitising Europe Summit. It is barely enough to fulfil an already obsolete promise. Download Gigabit VR App for iOS. Dowload Gigabit VR App for Android.